When the French translation of De wraak van Baudelaire – La Vengeance de Baudelaire – was published in France and Canada, many readers were speculating on the novel’s surprising end: is it “esoteric” or not? The same goes for the English translation – Baudelaire’s Revenge – published this year in the US by Pegasus Books. Without giving away the answer – that would be foolish of me after all my hard work, now, wouldn’t it? – I advise readers to take a short moment to ponder the title of the book. Baudelaire’s Revenge was not chosen because the title makes you think it’s a crime novel, but because of its subtle meaning. How can the world famous French poet Charles Baudelaire who has been dead for three years at the start of the novel, take revenge? The answer lurks in the “AIDS of the 19th century”: syphilis, also known as French pox, the clap, tropical bubo, morbus Gallicus (“the French disease”), hard chancre… etc.. In the 19th century syphilis was considered a scourge of the mighty, the rich… and the artists. Many novels and plays presented the disease as an essential plot point. There was a wealth of famous names linked to the topic that could be of literary use: Cesare Borgia, Henry VIII, Ivan the Terrible, John Keats, even Napoleon Bonaparte, were known to have suffered from syphilis. Anthony Burgess and other present-day authors have noted Shakespeare’s obsession with syphilis:the Divine Bard possessed clinically exact knowledge of its manifestations, which surfaced in many of his sonnets. Guy de Maupassant, “the inspired madman,” complained to his colleague Flaubert about his “darkest depressions and infinite disease.” De Maupassant’s syphilis led him to write horror stories like The Horla, in which the last stage of neurosyphilis was symbolized in the form of a Demon invading the protagonist’s brain. In everyday life, de Maupassant became obsessed with the idea that flies were eating his brain and he suffered “hellish” hallucinations. The brilliant short-story writer died in an asylum, his mind destroyed by the venereal disease. Between 1870 and 1900, French women who were suspected of having syphilis were therefore arrested and imprisoned in dreadful circumstances. As a result, many prostitutes tried to hide their genital lesions with special ointments and skin-colored creams, as described in Baudelaire’s Revenge. There was not much that medicine could do for sufferers but administering mercury, which was horribly toxic and of doubtful efficiency. Despite the relentless spreading of the disease through direct contact with the genital sores, most physicians considered condom use futile and even a possible source of “mental decay” in women who enjoyed “useless orgasms” because they knew that the condom would prevent pregnancy. So “the Great Pretender”, as the “morbus Gallicus” was sometimes called due to the efforts of the sufferers to hide it, could go on wreaking havoc. Syphilis is caused by the bacterium Treponema pallidum, first discovered in 1905, that can be transmitted to unborn children in the womb. In the 19th century, around 70% of the newborns infected with this congenital form died. If they survived, they bore a terrible burden, manifested by blindness, nose deformations, notched teeth, and mental retardation. In adults, the disease revealed itself in three stages: primary syphilis was no more than a painless initial sore, the secondary stage threw in a rash and fever. The third stage could follow after many years of latency and took on different forms. Gummatous syphilis is characterized by granulomatous lesions. These “gummas,” as they are called, have a rubbery texture and invade skin and organs. Most sufferers of this form lost their noses. Cardiovascular syphilis began as an inflammation of the arteries and could be life-threatening by damaging the heart valves or rupturing blood vessels. Neurosyphilis, the syphilitic infection of the nervous system, is the most chronic and insidious inflammatory process known. Psychosis, delirium, and dementia were the result. In the late stage of this form of syphilis, sufferers very often experienced brusque and absurd delusions, included sensations of immortality, supernatural powers, apocalyptic visions, or being harassed by “entities,” demons or devils. Numerous positive reviews of "Baudelaire's Revenge"
“Baudelaire’s Revenge” generates dozens of positive reviews in the US. The boldness of this cross-over between literature and the crime novel is an eye-opener for many American reviewers. 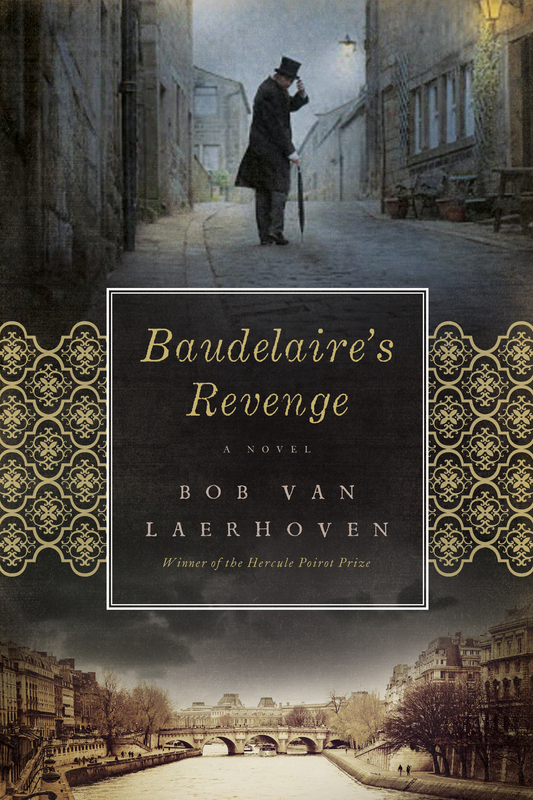 The Historical Novel Society concisely summarizes: Beautifully written and deftly translated, “Baudelaire’s Revenge” mixes the mystery of the crime novel with the sophistication of a philosophical treatise… If you want to read more reviews, you can take a look under the heading “Crime Novels”.